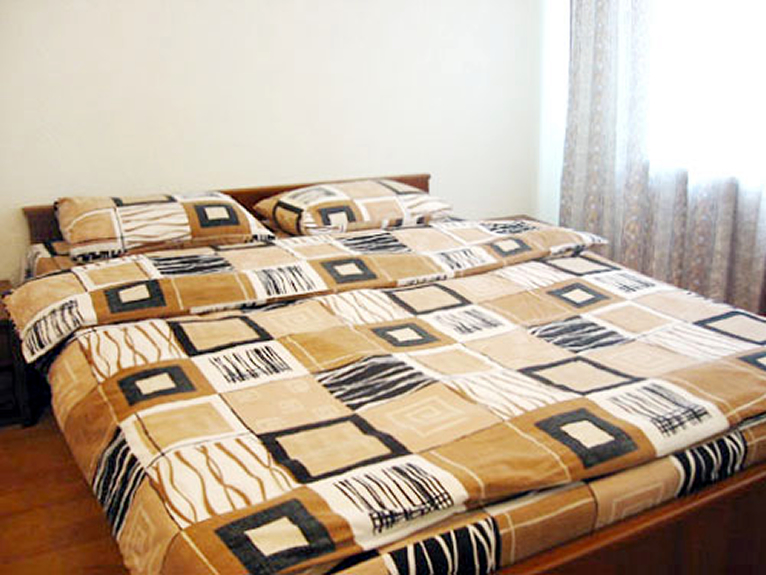 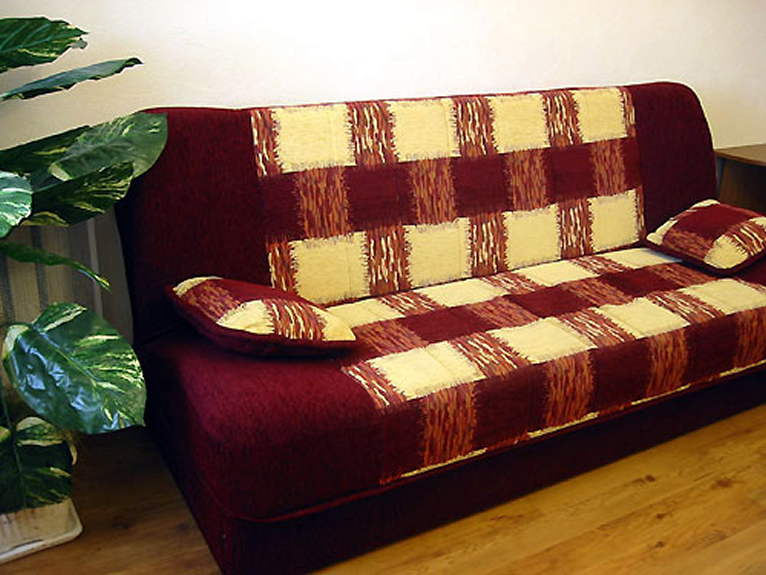 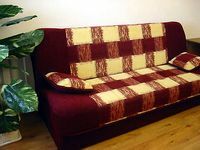 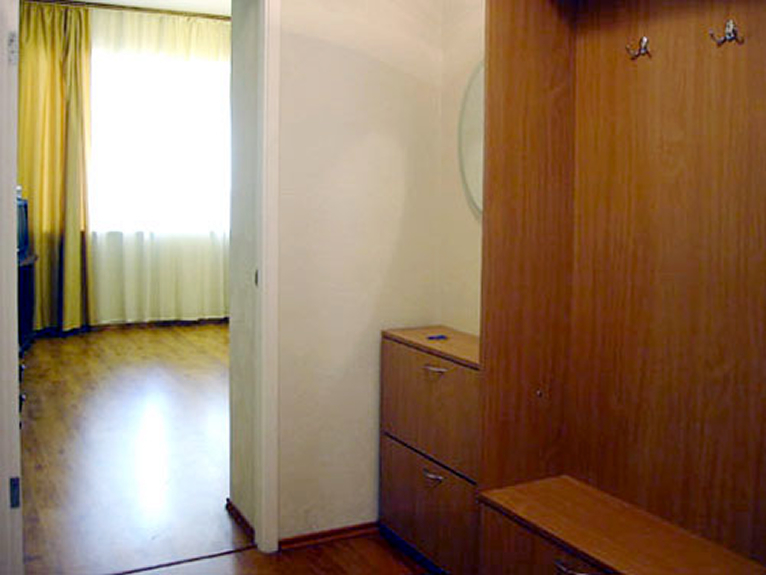 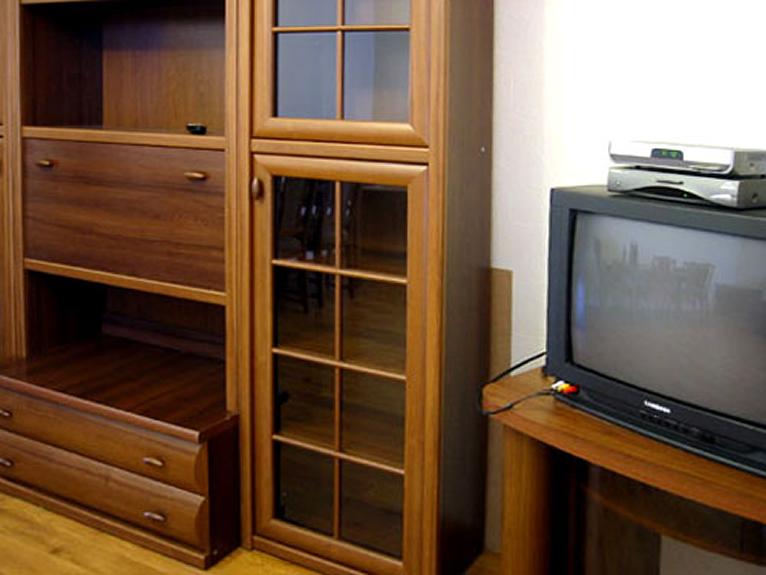 Euro Remodeled 2 – room air-conditioned apartment with kitchen and bath in the center of Kiev. 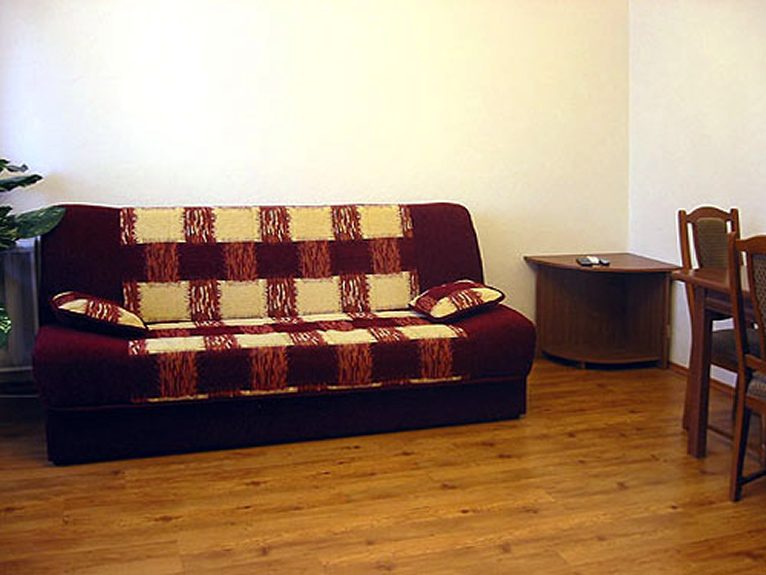 The spacious living room is nicely furnished in a contemporary style with hardwood floors throughout the apartment. Enjoy cable TV access and internet access in your downtime or do a load of laundry as the apartment has a washing machine. 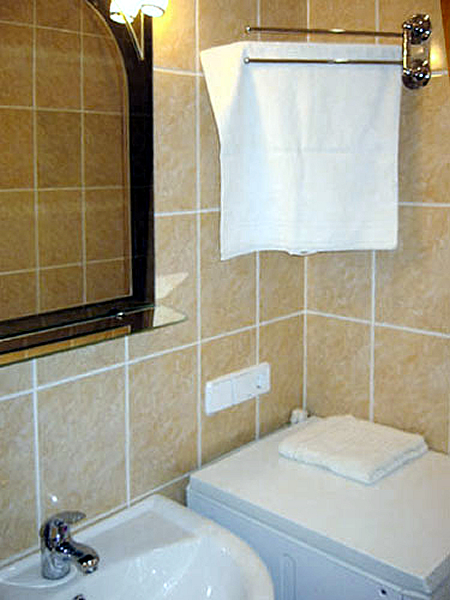 Hot water 24/7 as the apartment has a self contained hot water heater. 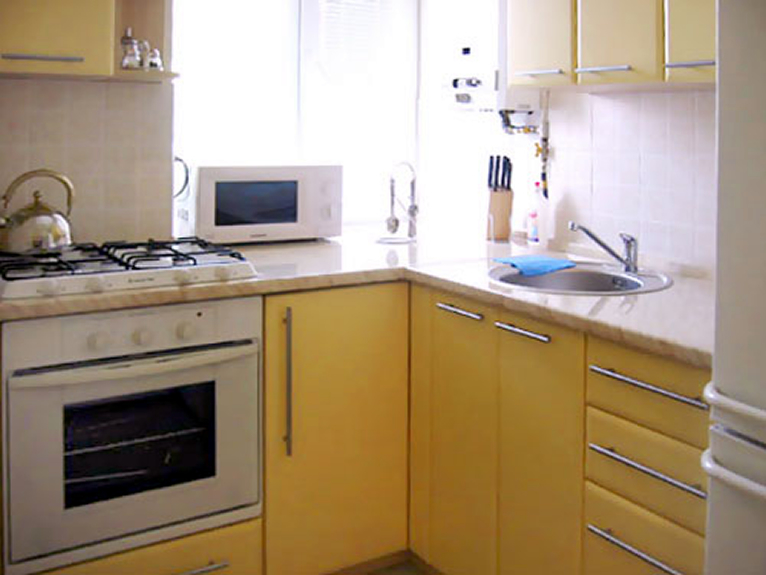 The fully furnished and refurbished Euro kitchen with has a gas range and fridge. The large bedroom offers sleeping comfort with a King size bed and the apartment has a large balcony with a magnificent downtown view. 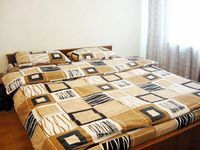 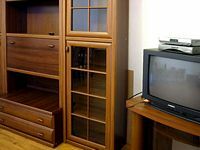 The apartment is located in the very heart of Kiev near the Bessarabka Market, just 2 minutes walk to TGI Friday's restaurant and Kreshchatik Street.